Mobile TV Services was established 42 years ago in 1977 by David Day. Originally a Mobile Repair Service, which progressed to TV and Video sales in a small showroom. 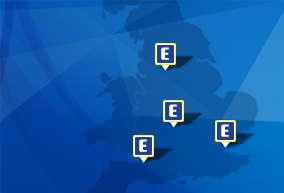 The store has since expanded into a much larger showroom and not only sells TV, Video and Hi-Fi but a large range of Domestic Appliances from all the major manufacturers from AEG to Zanussi. The latest addition to the range is Built-In Appliances from companies like Neff, Bosch, Blomberg, Stoves, Miele, Siemens, Belling, Creda and Hotpoint. We accept all major Credit Cards and can also offer Extended Warranties on all products. 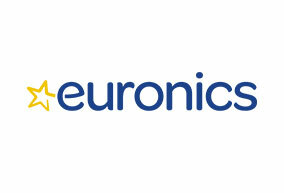 We also stock Light Bulbs, Vacuum Cleaner Bags, Audio/Video Leads, Kettles, Toasters, Irons And much more. 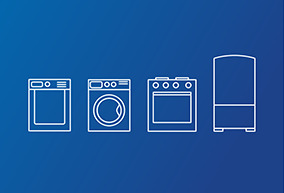 We deliver, and install the majority of the appliances we sell. We can install built in appliances contact the store for price. We can arrange gas installations at extra cost if needed. If we do not have the item you require we will endeavor to get it for you (subject to availability). Mobile TV Services take care to supply only reputable brands with a good track record for reliability. We know that our customers may need to discuss their requirements so we make sure that knowledgeable helpful staff are available who have an in-depth understanding of the products they are selling. Customers also need the assurance of reliable after sales service and this will be at your disposal when you buy from MTS Electrical. Our philosophy is that a satisfied customer may well become a repeat customer which is, after all good business sense. So after any purchase is made, you may be sure that should any problems occur, it will be dealt with promptly and efficiently. We stock a large range of electrical products: Televisions, Blu-ray Players, DVD Players & Recorders, PVRs (Personal Video Recorders), Hi-Fi’s, Digital and Analogue Radios. We also stock Washing Machines, Tumble Dryers, Dishwashers, Cookers, Dimplex Fires and Stoves, Refrigeration & Vacuum Cleaners. We have a large selection of Electrical & Audio Accessories, Home Cinema Cables, Blank DVDs & CDs, Computer Cables, Remote Controls, Telephone Extensions, Vacuum Cleaner Bags and Filters in stock. If you’re looking for superstore prices but would also like friendly and personal local-store service the answer is - MTS ELECTRICAL ! M T S ELECTRICAL of HALSTEAD	will use this area to update our customers on what’s happening in the store as well as fantastic manufacturer offers.